Summer is almost here, and that means many of you may be planning a summer getaway. And we want to hear all about it! Through the month of June, login and create a topic about your summer vacation – where are you going this year, what your favorite vacation was, or where are you dreaming of visiting. Promote your content! Get your friends on Toluna to vote for you by June 30th! Good luck! Now that you have the details, login and create your topic! *Promotion Rules: Open to US and Canada only. Limit one topic created per person. The content’s title must begin with “Toluna Vacation” to be officially entered, contain at least one relevant image, and must be created no later than June 30, 2015. Members can win up to 10,500 points. A 500 point bonus will be awarded to each member who participates via rank-up or external credit, and 10,000 bonus points will be awarded to the 3 members with the most votes/responses to their content. Bonus points will be awarded to winners by 5PM EST, on Tuesday, July 7, 2015, and will be uploaded directly to user’s accounts. Posts must not contain any language or image that is obscene, insulting, threatening, abusive, harassing, defamatory, libelous, untrue, misleading or invasive of someone else’s privacy. Toluna reserves the right to review all posts for content, and withhold bonus points from any user violating the rules mentioned above. 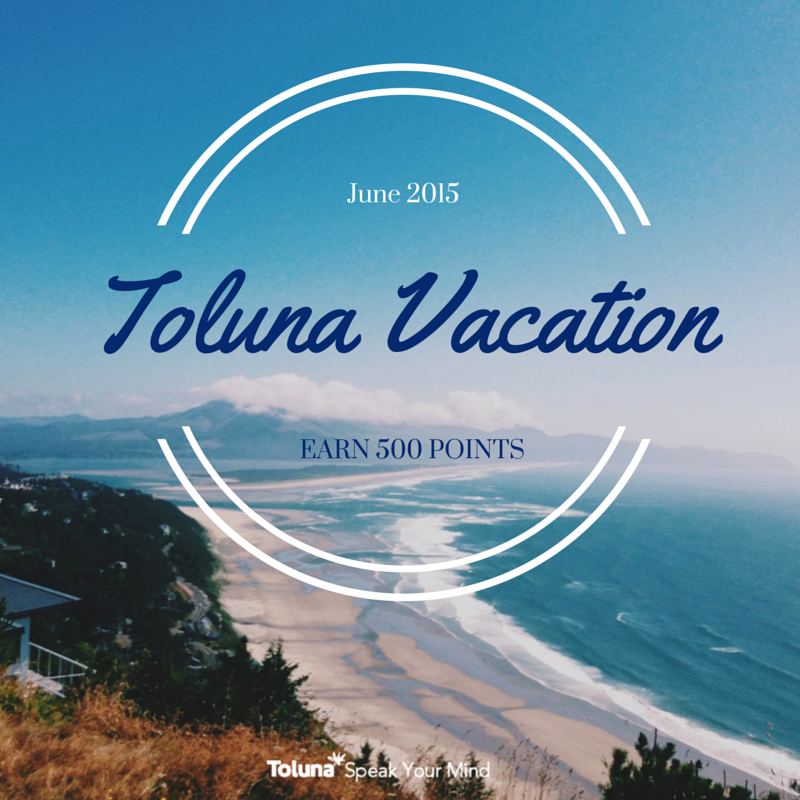 Violation of these rules, and/or the Toluna Member Code of Conduct may result in the closure of your Toluna account.